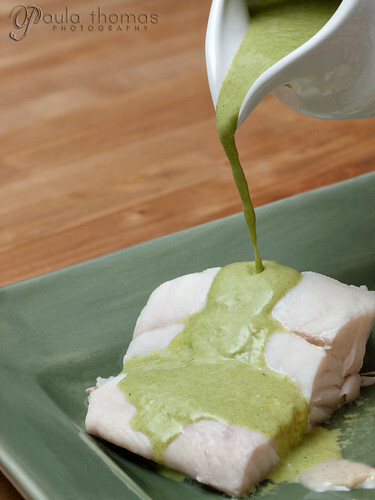 This recipe came from the Fish and Shellfish section of the Herbfarm Cookbook. The recipe is actually for salmon but I thought I'd try it out with halibut instead. Some of the other recipes called for using either halibut or salmon and didn't realize till after I bought it that this wasn't one of them. I decided to go ahead and make it anyway and hope for the best. This was my first time poaching fish, I normally bake, fry, or bbq it. 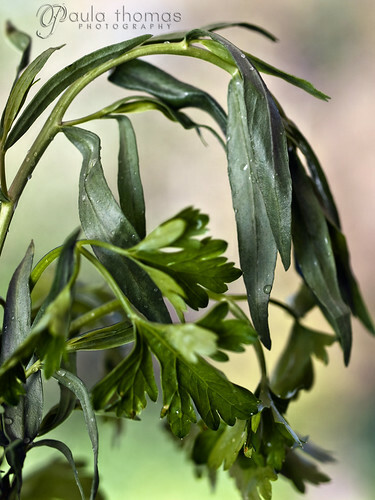 I've been using a lot of tarragon since I started the Herbfarm Cookbook Project and am becoming a big fan. I love the taste and I loved this sauce which also had some parsley in it. It may have gone a little better with salmon but I still enjoyed it on the halibut. I thought the fish came out pretty well though it was hard to get all the water out before putting it on the plate. Seemed like I was sopping up water from the fish every few mins while I was taking pictures and still there was quite a bit of water in my shots and it was more difficult to clean up once the sauce was poured. 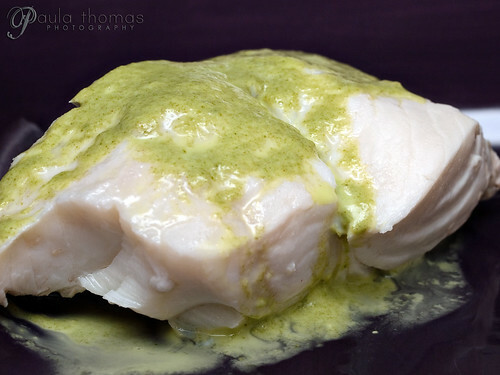 Not sure what the best way is to remove the excess water from poached fish. Next weekend I'll be on the poultry and meat section which I still need to choose a recipe from. 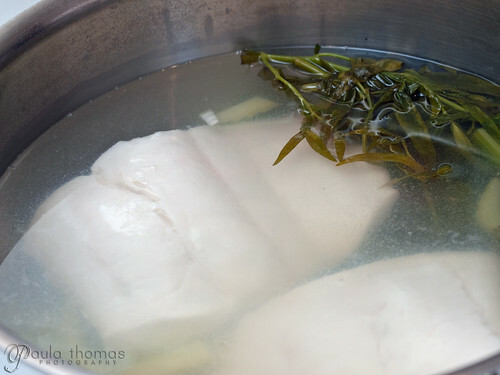 Lovely shots, and I love the idea of poaching fish. I've never done that. I've also never cooked with fresh tarragon. (Have used dried, in a mixture.) Sounds lovely. Did it taste "light"? And what's the Herbfarm Cookbook Project? I just ordered the book today, after people recommended some lavender recipes from it. I have resisted buying the book. I assumed it would have difficult recipes, but some of the ones I've seen look fairly easy. It's my own project that I started to get me to start using my cookbooks that I never use. Decided to start with the Herbfarm cookbook and have been making one recipe out of it every week for the past couple of months. I pick one recipe from each section to do every week. It's been a lot of fun and I highly recommend using fresh tarragon. It rocks! This is actually my 9th recipe. I admin I made more than one recipe out of a couple of the categories because I just couldn't resist the potatoes. I have a set of the pictures on Flickr and have also blogged them all. I wish you could add tags to blogspot posts like you can with Wordpress. If you can, I haven't figured out how.